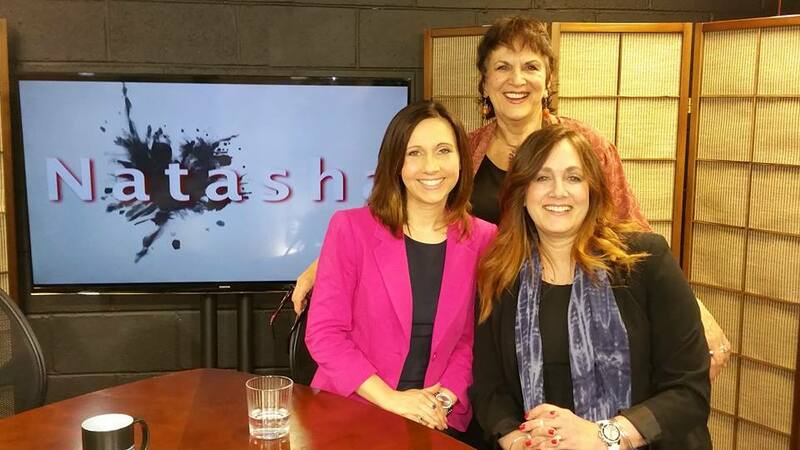 Patricia Teffenhart, NJCASA Executive Director (left) and Jill Zinckgraf, DASACC Executive Director (right) on the Natasha show in Spring 2015. To kickoff Sexual Assault Awareness Month, NJCASA Executive Director Patricia Teffenhart and NJCASA Board of Trustees member and DASACC Executive Director Jill Zinckgraf were featured on the Princeton Community Television program “Natasha” with Natasha Sherman. During the program they discussed a range of issues, including campus sexual assault, survivor-centered response, and prevention strategies. The theme for this year’s Sexual Assault Awareness Month is “Safer Campuses. Brighter Futures.” With the increased attention on campus sexual assault from the media and legislators, NJCASA spoke with Natasha about the opportunity to highlight the work of our College Consortium. The Consortium, comprised of campus professionals throughout the state of New Jersey, regularly meets to discuss best practices for response, awareness, and prevention of sexual assault at colleges and universities. “There's literally not one person in the State of New Jersey that does not benefit from the services the Coalition provides." During the program, Patricia and Jill also spoke about the Media Literacy program as a strong prevention strategy. Teenagers are inundated with multiple forms of media throughout the day, influencing their thoughts about social norms, relationships, and power dynamics. Media literacy gives participants a chance to challenge the messages they receive and create media based on their actual experiences. Natasha, 7.15 from Princeton Community Television on Vimeo.